This entry was posted in Audi, LATEST NEWS, Seat, Skoda, Volkswagen and tagged 0261 201 144, 0261 204 995, 0261 204 997, 0261 204 999, 0261 206 031, 0261 206 140, 0261 206 547, 0261 206 746, 0261 206 750, 0261 206 751, 0261 206 766, 0261 206 767, 0261 206 768, 0261 206 770, 0261 206 823, 0261 206 826, 0261 206 836, 0261 206 852, 0261 206 855, 0261 206 859, 0261 206 959, 0261 207 124, 0261 207 178, 0261 207 179, 0261 207 184, 0261 207 189, 0261 207 190, 0261 207 191, 0261 207 199, 0261 207 201, 0261 207 228, 0261 207 231, 0261 207 233, 0261 207 593, 0261 207 624, 0261 207 681, 0261 208 097, 0261 208 589, 0261 208 754, 030906032A, 030906032AD, 030906032AM, 030906032AP, 030906032AQ, 030906032B, 030906032BA, 030906032BC, 030906032BD, 030906032BE, 030906032BG, 030906032CE, 030906032CG, 030906032CM, 030906032CP, 030906032D, 030906032DJ, 030906032DQ, 030906032DR, 030906032DT, 030906032P, 036906032, 036906032AG, 036906032AM, 036906032B, 036906032BA, 036906032C, 036906032E, 036906032G, 036906032H, 036906032L, 6K0906032AC, 6K0906032AH, 6K0906032AJ, 6K0906032C, 6K0906032J, 6K0906032Q, Audi ECM Problems, Seat ECU Faults, Skoda PCM Testing, Volkswagen (VW) ECU Repairs by smartAjaz. Bookmark the permalink. 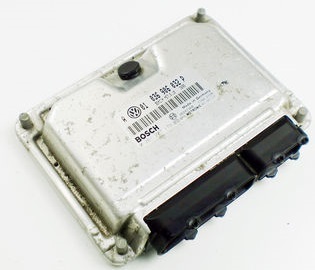 After you get the ECU will you inform me about the cost before you repair it or not? Yes, we will always call you to let you know the faults we’ve found and costing before we proceed with any repairs.